All assets acquired and liabilities incurred by either spouse subsequent to the date of the marriage and not specifically established as non-marital assets or liabilities are presumed to be marital assets and liabilities. Such presumption is overcome by showing that the assets and liabilities are non-marital assets and liabilities. When the martial character of an asset is in question, the burden of proving whether an asset is non-marital is on the party claiming it to be so. Assets acquired before marriage are not marital assets and remain the property of the owner spouse in the absence of evidence of a gift or conveyance of the assets to the owner’s spouse. 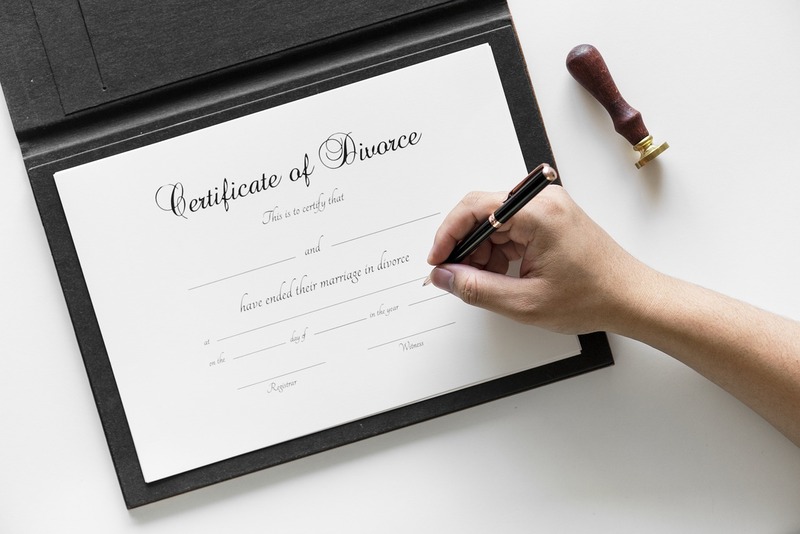 Generally speaking, the time frame to determine an asset or liability is from the point of marriage to the point of filing a petition for dissolution. There are many things that may or may not be classified as marital or non-marital. Future salary is not a marital asset, but accrued benefits may be. A contingent liability may be subject to equitable distribution. An interspousal gift following a prenuptial agreement may create marital property. Even if a value is undetermined, the asset may still be marital. Bonus checks may also be considered marital assets. Negative equity is a marital liability. When a court determines a property has negative equity, the negative equity is a marital liability subject to equitable distribution. A joint tax liability can be considered a marital liability, as well as a student loan. Gifts from a third party during the marriage are non-marital. For example, if your buddy gives you a set of golf clubs, that is non-marital. If your buddy gives you and your wife a couch, then that is marital. Debts accrued during the marriage for a non-marital expense are non-marital. Non-marital property cannot be awarded to the non-owner spouse. Pursuant to Florida Statute 61.075 the cut-off date for determining assets and liabilities to be identified or classified as marital assets and liabilities is the earliest of the date the parties entered into a valid separation agreement, such other date as may be expressly established by such agreement, or the date of the filing of a petition for dissolution of marriage. The liabilities acquired during the marriage are just generally considered marital liabilities. People often are shocked to find out that student loans acquired during the marriage are a marital liability. So if you get student loans and go to college, your wife is liable for half of those loans, provided it was all during the marriage. College expenses funded by debt during a marriage may be considered a marital liability. Physical separation may not establish an earlier date for the designation of marital versus non-marital assets and liabilities. Florida Statute 61.075 provides that the date for determining the value of assets and the amount of liabilities identified or classified as marital is the date or dates as the judge determines is just an equitable under the circumstances. Different assets may be valued as of different dates, as, in the judge’s discretion, the circumstances require. Choosing a valuation date of assets and dissolution actions is determined on a case-by-case basis, depending upon the facts and circumstances. There is no presumption that one date should be used as opposed to another. Non-marital property may become a marital asset when the non-marital assets are commingled with marital assets. Non-marital property loses its non-marital character once commingled. People are very surprised to hear that an interspousal gift is marital. For example, if I give my wife a $10,000 diamond ring, at the divorce that ring is not just hers free and clear. She will owe me $5,000 back in an equitable distribution worksheet. So any gifts you give to each other, if significant, you need to get the value of because that value will go back and forth on a worksheet. I say “significant value” because the court usually will not bother itself with some cheap stuff. Pursuant to Florida Statute 61.05, a non-marital asset may be altered into a marital asset to the extent that its value has been enhanced by marital funds or labor. However, the appreciation must be attributable to active appreciation, instead of merely passive appreciation. Florida legislature amended Florida Statute 61.075 to add a formula for calculating the marital portion of passive appreciation in a non-marital property. The formula applies where a note and mortgage on the non-marital property is paid down with marital funds during the marriage. A portion of the passive appreciation will be deemed marital which portion is calculated by multiplying a coverture fraction by the passive appreciation in the property during the marriage. The passive appreciation is determined by subtracting the value of the property on the date of the marriage (or acquisition if during the marriage), whichever is later, from the value on the valuation date in the divorce, less any active appreciation during the marriage (for example, principal paydown on the mortgage for marital funds) and less any additional indebtedness on the property (for example, a line of credit). The coverture fraction: Numerator (total payment of principal from marital funds)/denominator (the value of the property when acquired, date of marriage, or date of encumbrance, whichever is later). For example, if the principal paydown during the marriage from marital funds was $20,000 and the property at the date of marriage was $200,000 - the percentage of passive appreciation which is marital is 10 percent. The total marital portion will be the principal paydown, the marital portion of the passive appreciation and any active appreciation if any. The value cannot exceed the total net equity in the property at the date of valuation. The court is required to apply this formula unless a party can establish that the application of the formula would be inequitable. Kenny Leigh & Associates is a law firm that exclusively represents men in the area of family law. Know that in this blog, as in all blogs, the legal advice here is very general and the legal advice may not pertain to your specific fact instances. The best way to get your legal information is by having a consultation with an attorney. For more questions or how to contact us, go to divorcemenonly.com.